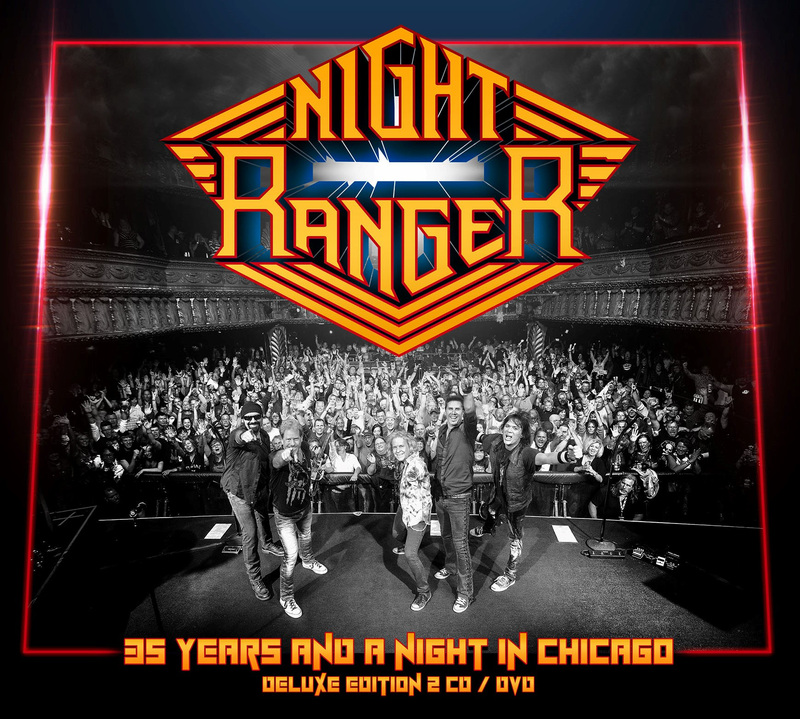 Celebrating the launch of the bands 35th anniversary, more than 17 million albums sold worldwide, over 3000 live shows performed, NIGHT RANGER continues to rock with the release of “35 Years And A Night in Chicago.” The release is available in 2CD/DVD, Blu-Ray and MP3 (audio only) formats. NIGHT RANGER has both epitomized and transcended the arena rock sound and style of that era and beyond, with songs that have significantly impacted popular culture and continue expanding their ever-growing fan-base. NIGHT RANGER is proof that powerful songs, plus accomplished musicians is the perfect formula for continued success. NIGHT RANGER has earned widespread acclaim multi-platinum and gold album status while leaving their indelible mark on the music charts with a string of best-selling albums (Dawn Patrol, Midnight Madness, 7 Wishes, Big Life and Man In Motion), its popularity fueled by an impressive string of instantly recognizable hit singles and signature album tracks. Producing legendary hits such as “Sister Christian”, “Don’t Tell Me You Love Me”, “When You Close Your Eyes” the anthemic “(You Can Still) Rock In America”, along with “Sentimental Street”, “Goodbye”, “Sing Me Away”, “Four in the Morning” and more. The band was also one the first big “video” bands, with over ten number one videos on MTV. Over the years, the band’s music has made notable contributions to and has been featured in many different areas of media and popular culture. NIGHT RANGER‘s songs can be heard in TV Shows; The Unbreakable Kimmy Schmidt, American Dad, Glee, Grey’s Anatomy, Parks & Recreation; Rock Band, Guitar Hero and Grand Theft Auto, video games; Rock of Ages hit Broadway musical and feature film; the Oscar-Nominated film Boogie Nights, Friday the 13th, Teachers, Sixteen Candles, The Secret of My Success; JBL’s “Hear The Truth” brand campaign; and many more! John Legend: ‘Darkness & Light’ Stream & Download – Listen Now!